The Harvest Food Pantry has purposed to consistently serve area families in need of nutritious food on a one-time or on-going basis. We provide quality food for our neighbors who need such assistance. 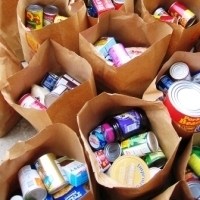 The Harvest Food Pantry has the credibility of being a member in good standing of the Central Virginia Food Bank network. We serve the community weekly on Tuesday evening from 5:00 - 6:00 PM.